This course introduces you to the theory and practice of communicating within professional organizations, with emphasis on written, oral, and visual communication. We practice how to determine the needs of a particular audience and how to design the most appropriate organization and language for communicating with that audience. We progress from conventional correspondence and formats to situations that require more complex persuasion or arrangement. If you have any comments or questions about these materials or about the course, please e-mail me at mmoore@mtu.edu. familiar: they are conventional in the editorial world, but not necessarily consistent across disciplins. This week we practice Team-based drafting, revising, and editing. On Tuesday Teams meet in class with laptops to draft, and on Thursday we meet in the SBE classroom ChemSci 108. Due Thursday: Project Draft (Team) & Progress Reports (Individual). The major project for this class is to plan, design, and develop a formal Business Report based on original research. Since the very best Business Reports are ones that solve a problem or guide someone’s decisions, l’ll ask you to focus on one of those two areas. We’ll meet Tuesday in 134 Walker, where we’ll watch and then discuss the documentary film, Startup.com. Feel free to bring snacks. To which I would add: there are some astonishing instances of internal & external communication, too. Tom Herman’s “Lessons Learned”: Entrepreneurship in Difficult Times. For this week’s Memo, take the position of a mid-level or upper-level manager. Write a persuasive memo to someone higher up the organizational ladder in which you describe and advocate for some sort of training, seminar, workshops, or other globalization-education initiative for your organization. Be sure to define globalization for your reader(s) and don’t assume that they know about all of the economic, cultural, social, and technological contexts involved in this concept. Conclude your memo with an invitation for feedback, questions, concerns, further conversation. Summary & reminder for Thursday: find a globalization-related article to bring to class — it can be photocopied from a book or journal, accessed via the library’s databases, or downloaded from the internet. Pick an article that addresses globalization in the context of an area that interests you: globalization & accounting? globalization & marketing? globalization & finance? globalization & health care? 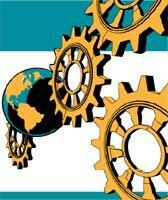 globalization & information technology? globalization & social equality? MTU has extended its weather advisory through today based on current conditions. I sent out an update via the class mailing list. Stay warm and drive carefully. LAKE EFFECT SNOW SHOWERS…WILL CONTINUE TO CREATE SEVERE BLOWING AND DRIFTING SNOW WITH VISIBILITIES NEAR ZERO AT TIMES. THE WINDS WILL SLOWLY SUBSIDE TODAY…HOWEVER VISIBILITY WILL REMAIN VERY POOR FOR THE ENTIRE DAY. EXPECT AN ADDITIONAL 1 TO 4 INCHES OF SNOW TODAY…WITH THE GREATEST AMOUNTS SOUTH OF HOUGHTON. THE STRONG WINDS AND BITTER COLD AIR WILL CAUSE WIND CHILL VALUES OF 25 TO 35 BELOW THIS MORNING.